Teeth whitening and bleaching have become a widely used and popular way to whiten smiles. 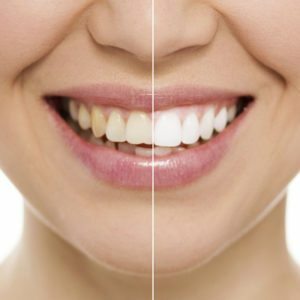 Many people achieve the look they’ve been dreaming of with the simple “bleaching” procedure provided by Salmon Creek Family Dental, your best choice for cosmetic dentistry Salmon Creek WA has to offer. Teeth whitening is an inexpensive and safe procedure. Depending on your preference, you can lighten only your upper teeth or both the upper and lower. Let us know at your next appointment that you would like to whiten your teeth, and your custom bleaching trays will be ready for you to pick up. We also provide you with a special bleaching agent that you put into the clear trays, which removes stains from the enamel of your teeth with only an hour of wear per day. Once your teeth reach your preferred brightness, only occasional treatments are needed to maintain your new smile. Bonding is a resin that is used in the front or back teeth to restore decayed teeth, lighten stains, close minor gaps or correct crooked teeth. A tooth is prepared by lightly etching its surface, and a bonding resin is placed on top. After the liquid sets, the tooth is bonded, sculpted, colored and shaped to improve your smile. Once cured with a high-intensity light, the surface is polished. 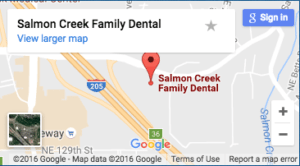 Tooth bonding in Salmon Creek, WA is convenient, often completed in one visit, and can significantly improve the appearance of a tooth. Bonding typically lasts three to five years before need of repair. Tooth contouring and reshaping can correct crooked, cracked or overlapping teeth in just one visit. Contouring is used with bonding to correct bite problems, and is an instant and painless way to correct your smile. Porcelain veneers are thin shells of ceramic that bond directly to the front surfaces of the teeth. These thin pieces are bonded to the front of your teeth, and are generally used to improve the overall look of your teeth, especially if you have teeth that are uneven, chipped, stained or crooked. Ultra-thin porcelain veneers are virtually undetectable and highly resistant to stains from substances like coffee, tea, or tobacco. 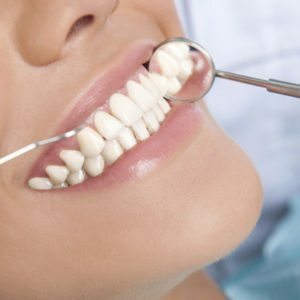 Veneers can be completed in two dental visits, involving a consultation with Dr. Nelson as well as an impression of your teeth to send to the lab where your veneers will be made. The veneers will then be place and bonded to your teeth during the third visit. Veneers are placed temporarily at first, in order to ensure correct color and fit. Dr. Nelson will ensure that your veneers are crafted from the highest quality porcelains and are bonded with the most advanced and proven materials available. 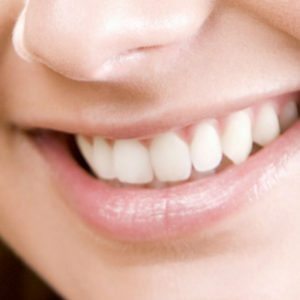 Veneers require the same type and amount of care as regular teeth. Brushing twice daily and flossing once a day, along with regularly scheduled trips to your dentist, will ensure a bright, healthy smile for years to come.